How to get traffic without spending on advertisement? When you start a business your main objective is to get customers. However, attracting customers is not always easy especially if you have a low marketing budget. Fortunately, there exists a number of ways to help you acquire customers for your business without spending a lot of money on advertisement. Growth hacking is one of them. 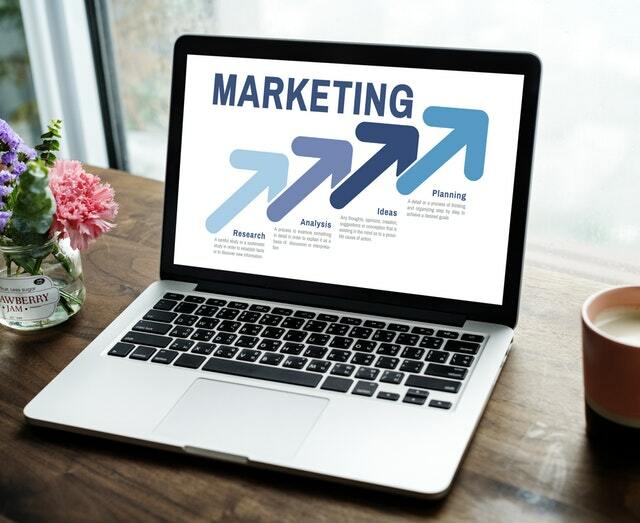 Growth hacking offers business owners a cost-effective alternative to traditional marketing methods by helping them grow and retain customers at no extra cost. Given the rise in competition nowadays more and more businesses are using strategic methods to achieve their desired results. Take for instance Dropbox. Instead of using traditional advertising to grow their customer base Dropbox implemented a number of growth hacks that ultimately made them a $12 billion company. When Dropbox was first founded in the year 2007 it was using Google Ads to acquire customers. However, they soon realized that spending a huge amount of money on a product that costs around $5/month to gain customers is not going to benefit them in the long run. Therefore, they leveraged growth hacking by creating a free product/service. As a matter of fact, all of us love using a free product. Dropbox didn’t only create a profitable product but also allowed users to use it for free thus creating a large audience base for its product and service. It would be a great help to have all our data in one place rather than having it spread across various devices. Dropbox provided a meaningful solution to this by offering free cloud storage. Moreover, this data can be accessed anywhere irrespective of the device you are using. When Dropbox was first launched people weren’t really searching for a product where they can store all their data. Hence, the biggest challenge faced by Dropbox was to make people want to use its product. Dropbox did this with the help of a simple storytelling. Similarly, Amazon is leveraging the growth hacking tactics with the help of its Prime membership. Although the product is not really free but includes various benefits such as same-day delivery and free shipping on a lot of products once you have paid for the prime membership. So you can easily leverage growth hack for as long as you have free product/services to offer. Before you leverage growth hacking you must understand that creating and offering users a free product and services is also going to cost you a lot of money. However, this cost will be nothing as compared to what you will spend with Google Ads. Suppose you have a product worth $120000. Paid advertising on Google will cost you roughly around $500000 to get customers for your products. Offering it for free is still profitable and will also give you a higher ROI, build trust among your customer and add brand value to your company. It will also scale your customer acquisition strategy and your business will keep growing at little to no extra cost. You can further use growth hacking to incentivize your current users to refer to others in lieu of some benefits such as increased storage, free one-month service etc. The next important thing is how you present your product or service because simply creating a free product/service doesn’t guarantee that users will like to use it too. It is advised to keep things simple if you really want users to use your products and services. You should help users get started with your products and service through some sort of tutorials. Try to keep it simple and engaging. Furthermore, offer them some incentive that will help them come back to your product or service. Dropbox users get increased storage space with each referral. Friend referrals not only increase trust in your product or service but further offer users incentive to recommend your services. You can use friend referrals to promote your product without spending any money. Given the significance of social media, it is extremely important to strengthen your social media presence. Since a simple ‘Like us on Facebook’ is no longer enough Dropbox offered users increased free space with each Facebook like and Twitter follow. Offer some incentive to your new as well as loyal customers from time to time to make sure that your customer base is strong and growing. Dropbox allows users to access it from various devices and platforms thus making it easier for them to use it. It has further helped Dropbox grow its user’s base. When you develop a product or service, list its unique features and find out how you can use it to gain a competitive advantage over others. Akash Verma is the Content Marketing and SEO specialist of Yupple Technologies which offers Website, mobile application development and digital marketing services to various industry verticals. He is an avid strategist behind organic growth and content optimization and enjoys Working with the popular digital trends for his projects. You can learn more by following me on Twitter.